Acute respiratory distress syndrome (ARDS) is today a leading cause of hospitalization in intensive care unit (ICU). ARDS and pneumonia are closely related to critically ill patients; however, the etiologic agent is not always identified. The presence of human herpes simplex virus 1, human cytomegalovirus and Epstein–Barr virus in respiratory samples of critically ill patients is increasingly reported even without canonical immunosuppression. The main aim of this study was to better understand the significance of herpesviruses finding in lower respiratory tract of ARDS patients hospitalized in ICU. The presence of this group of herpesviruses, in addition to the research of influenza viruses and other common respiratory viruses, was investigated in respiratory samples from 54 patients hospitalized in ICU, without a known microbiological causative agent. Moreover, the immunophenotype of each patient was analyzed. Herpesviruses DNA presence in the lower respiratory tract seemed not attributable to an impaired immunophenotype, whereas a significant correlation was observed between herpesviruses positivity and influenza virus infection. 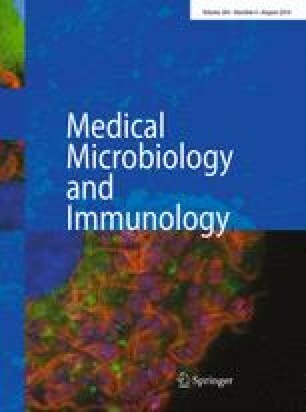 A higher ICU mortality was significantly related to the presence of herpesvirus infection in the lower respiratory tract as well as to impaired immunophenotype, as patients with poor outcome showed severe lymphopenia, affecting in particular T (CD3+) cells, since the first days of ICU hospitalization. In conclusion, these results indicate that herpesviruses lower respiratory tract infection, which occurs more frequently following influenza virus infection, can be a negative prognostic marker. An independent risk factor for ICU patients with ARDS is an impaired immunophenotype.